This leather marble pouch is made in Kansas City. They have been screenprinted with our Moon Marble Company logo in white ink. Currently available in 4 color choices. 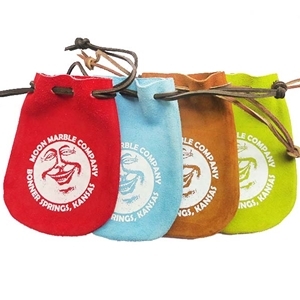 Pouch and string colors may vary slightly.